Godbit means “goodie” or “treat” in Norwegian, and the Helle Godbit is most definitely a treat. 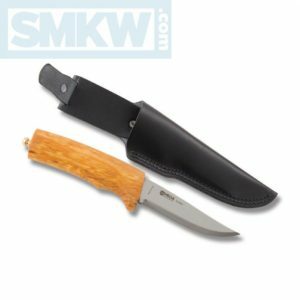 This 2017 Father’s Day knife from Helle of Norway was originally designed by Gunnar Lothe and sold in the 1990’s. This version of the Godbit is a limited edition, limited to 350 pieces. 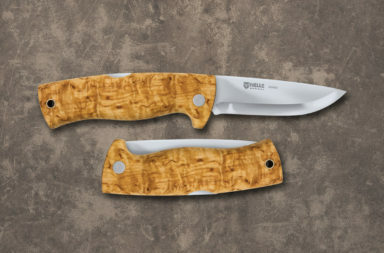 It’s a hunting/camp knife for sure, but it’s blade shape is a little different from what we’ve seen in Helle’s offering. 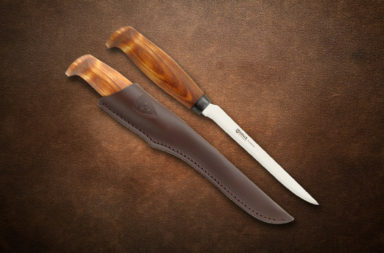 The 8.5″ Helle Godbit features a triple-laminated steel blade. This hardening process makes the blade tough and wear resistant. The Godbit’s 3.875″ modified drop point blade looks sleek in comparison to other Helle blades, and it almost has an up-swept tip. 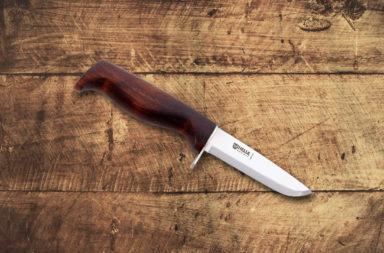 Like all Helle Knives, it’s razor sharp right out of the tube. If you’re familiar with Helle Knives, the thick, rounded curly birch handle will let you know immediately that this is a Helle knife. It’s a traditional Norwegian style handle that’s easy to grip and wears well. The Godbit handle features a slight guard carved directly into the curly birch handle, as well as a brass pommel knob. 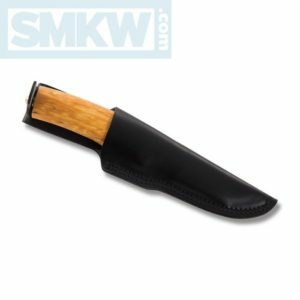 This knife comes with a genuine leather sheath. Like most sheaths from this region, the Godbit sits deep inside the sheath and a strap locks onto the pommel knob to keep your knife secure for carry. 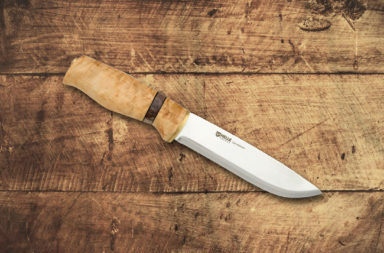 The Helle Godbit is another gorgeous offering from Helle Knives of Norway. If you’re interested in learning more or getting one of these limited edition knives, simply click any link in this article or the button below.